Pedagogy is the study of the theory and practice of education. It is concerned with the underlying values and principles that influence our approaches to learning, teaching and assessment. What makes for great pedagogy? give serious consideration to pupil voice. depend on behaviour (what teachers do), knowledge and understanding (what teachers know) and beliefs (why teachers act as they do). involve clear thinking about longer term learning outcomes as well as short-term goals. build on pupils’ prior learning and experience. involve a range of techniques, including whole-class and structured group work, guided learning and individual activity. are inclusive and take the diverse needs of a range of learners, as well as matters of student equity, into account. Before we think about how to teach, we need to consider how people learn. This section refers to general theories of learning and teaching. Our Models and Frameworks section builds upon these to provide an overview of specific frameworks, models and curricula for developing Information Literacy. No single learning theory can address the requirements of every teaching and learning event. A combination of perspectives is the most likely and effective approach. Below are three prominent learning theory frameworks and their corresponding teaching approaches. Behaviorism is a theory of animal and human learning that only focuses on objectively observable behaviors and discounts mental activities. A desired task is first analyzed for its learning objectives. Procedures to teach each sub-task and tests for mastery at each stage of learning are then designed. Students work at their own pace but receive reinforcement for behaviours that move them towards achievement of the task. Behaviour is shaped towards the final goal using by modeling the desired outcome, using programed instruction sequences in small steps with immediate reinforcement, and behaviour modification where only correct behaviours are selectively reinforced (Grassian and Kaplowitz, 2001). Break down a task into small units. Use hands-on active learning exercises and model preferable search behaviours. Provide immediate feedback during quizzes and answer questions as they arise. Give praise for correct answers so behaviours are gradually shaped towards desired outcomes. Students work through exercises until they repeatedly apply desirable search behaviours such as use of quotation marks, Boolean commands, and truncation in database search strings or application of the elements of specific citation style. Ivan Pavlov, B. F. Skinner, Edward Thorndike and John Watson. Grassian, E. S. and Kaplowitz, J. R. 2001. 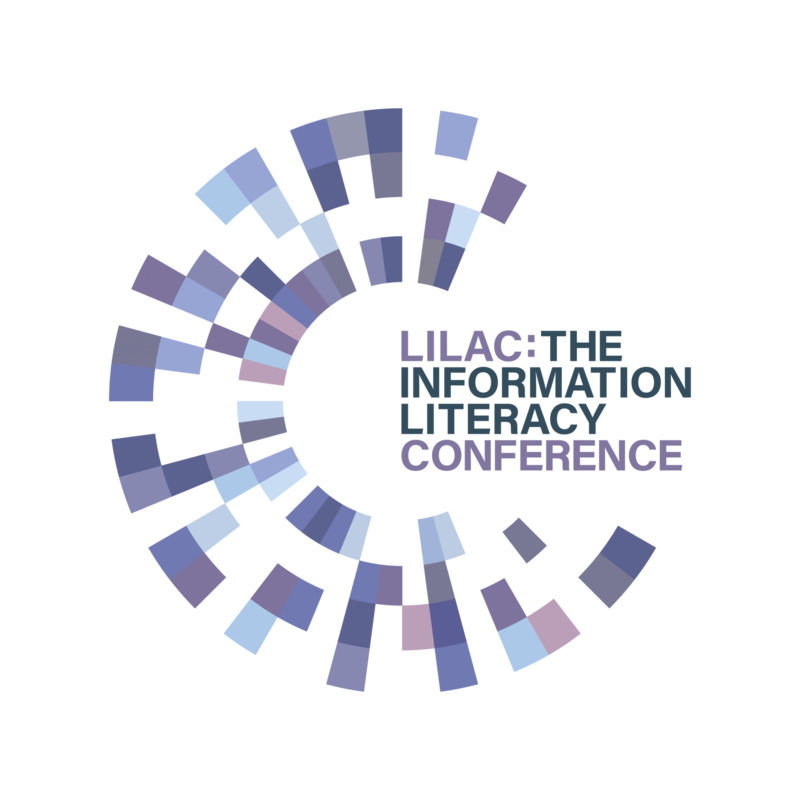 Information literacy instruction: Theory and practice. New York: Neal-Schuman. Cognitive theorists view learning as involving the acquisition or reorganization of the cognitive structures through which humans process and store information (Good and Brophy, 1990). Metacognitive learning theory addresses strategies students need to help themselves monitor and direct their own learning. These strategies include predicting outcomes, planning research steps, time management, decision-making, and alternate strategies when a search fails (Donovan et al., 1999). Stresses active learning techniques and motivational learning content using problem solving. Design lessons around conceptual frameworks such as a model of the research process (Kobelski and Reichel, 1981). Activate prior knowledge using elaboration (imagery, mnemonics, questioning, note-taking); advance organizers; and analogies and metaphors. Organize material by chunking into meaningful parts and using concept maps to give overviews. Discuss mental processes and use modelling to expose thinking behind an expert search (yours!). Students record actions while searching for later analysis and reflection (Slavin, 2006). Albert Bandura, Jean Piaget, Jerome Bruner, David Ausubel. Donovan, M. S. et al. Eds. 1999. How people learn. Washington, D.C.: National Academy Press. Good, T. L. and Brophy, J. E. 1990. Educational psychology: A realistic approach.4th ed. White Plains, NY: Longman. Kobelski, P. and Reichel, M. 1981. Conceptual frameworks for bibliographic instruction. Journal of Academic Librarianship 7(2), pp. 73 -77. Slavin, R. E. 2006. Educational psychology: Theory and practice. 8th ed. Boston: Pearson. A philosophy of learning founded on the premise that, by reflecting on our experiences, we construct our own understanding of the world we live in. Each of us generates our own “rules” and “mental models,” which we use to make sense of our experiences. Learning, therefore, is the process of adjusting our mental models to accommodate new experience (Schunk, 2008). Learners construct their own meaning. Students do not process or transfer what they receive passively. Provide tasks that allow them to reflect/analyze on information. e.g. Search this index on X and list techniques that improve your search. New learning builds on prior knowledge. Students must compare and contrast old and new information to build new connections. Learning is enhanced by social interaction. Students learn best in social settings where they can debate conflicting ideas and exchange perspectives. e.g. Use small groups and class discussion to explore and articulate search processes and methods. When students work together on projects or problems under the guidance of the instructor, a higher level of learning is achieved due to the scaffolding effect of peers and teacher than could be accomplished independently. This is also known as Vygotsky’s “zone of proximal development”. Meaningful learning develops through “authentic” tasks. Choose examples and activities from the real world that are worthy of investigation. Consider current news topics or themes of interest to specific age groups (Cooperstein and Kocevar-Weidinger, 2004). Draw on communication between participants through bulletin boards, chat, listservs, to share understanding from different points of view. Jean Piaget, Lev Vygosky, Howard Gardner, Carl Bereiter, Marlene Scardamalia. Cooperstein, S. E. and Kocevar-Weidinger, E. 2004. Beyond active learning: a constructivist approach to learning. Reference Services Review. 32(2), pp. 141-148. Schunk, D. H. 2008. Learning theories: An educational perspective. 5th ed. Upper Saddle River, NJ: Pearson. This content is reproduced under a CC-BY-NC-SA 2.5 licence from the Information Literacy within a Quality Assurance Framework: An Ideas Exchange for Librarian wiki, licensed by Corrine Laverty. Observing and reflecting on that experience. Analysing what has happened and drawing conclusions from it. Considering how those conclusions can be effectively put to use in future situations. Bloom’s Learning Taxonomy: This is a well-known classification developed by Dr Benajmin Bloom in 1956 (and updated by Anderson and Krathwohl in 2001) to recognise the varying levels and forms of learning and to encourage the development of higher-order thinking in education. It distinguishes between cognitive, affective and psychomotor forms of learning. It identifies six levels of learning within these: Remembering, Understanding, Applying, Analysing, Evaluating and Creating. JISC Review of e-learning theories, frameworks and models: This report by Mayes and de Freitas (2004) examines commonly used pedagogical frameworks for elearning, for example, Laurillard’s Conversational Framework, Gilly Salmon’s Five Stage Model, or Mayes’ and Fowler’s Framework. It maps learning theory onto technology-enhanced pedagogical approaches to help you make decisions about where, when and how it might be appropriate to use technology in your teaching. Teaching implications of learning theories: This page from the University of Illinois’ Center for Innovation in Teaching and Learning translates some of the underlying principles from learning theory into practicable take-aways for improving your teaching. Whilst the underlying theories of learning remain largely consistent, pedagogic approaches are constantly evolving. The Open University’s annual Innovating Pedagogy reports summarise contemporary forms of teaching, learning and assessment made popular by interactive and digital teaching environments. Below are links to some of the most widely used approaches to learning and teaching at present. This list is not exhaustive and is intended as a starting point to encourage you to think about varying your teaching approach according to need, audience and topic. Active learning is any approach whereby students engage in activities, such as reading, writing, discussion, or problem solving that promote analysis, synthesis, and evaluation of content. Cooperative learning, problem-based learning, enquiry-based learning and the use of case methods and simulations are some approaches that promote active learning. Read more about active learning or view a selection of articles on use of active learning in library instruction. Students learn in small groups and are supported by a facilitator, using a structured approach and a specific PBL model. A topic is introduced through scenarios, triggers or problems which leads to in-depth collaborative inquiry. Group members are assigned specific roles. These rotate to help students develop different aspects of working in groups beyond their development of understanding linked to a specific scenario and topic. Wenger, K. 2014. Problem-based learning and information literacy: a natural partnership. Pennsylvania Libraries: Research and Practice 2(2), pp. 142-154. Carbery, A and Hegarty, N. 2011. Introducing problem-based learning into oneshot information literacy instruction at Waterford Institute of Technology Libraries. SCONUL Focus 53, pp. 30-33. “…a pedagogical approach in which direct instruction moves from the group learning space to the individual learning space, and the resulting group space is transformed into a dynamic, interactive learning environment where the educator guides students as they apply concepts and engage creatively in the subject matter”. Theory or directions can be removed from the classroom and imparted in advance, for example, via short video or online tutorials. This frees up more face-to-face time for one-to-one or small group interactions with students. Students can review the flipped content as many times as is necessary to grasp the subject matter and come to class ready to grapple with practical exercises, answer questions, work on collaborative projects, and explore the content further. The Flipped Learning Network acts as a hub for educators interested in this approach, connecting them to research, practice and resources on the topic. Benjes-Small, C. and Tucker, K. 2013. Keeping up with…flipped classrooms. Association of College & Research Libraries: Keeping up with… July 2013. Brooks, A. W. 2014. 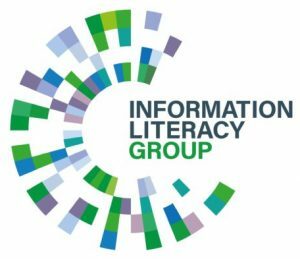 Information literacy and the flipped classroom: examining the impact of a one-shot flipped class on student learning and perceptions. Communications in Information Literacy 8(2), pp. 225-235. Team-Based Learning (TBL) is a particular approach to flipped learning. It is an evidence-based collaborative learning teaching strategy designed around a three-step cycle which spans one class or unit of instruction: preparation activities, an in-class readiness assurance test, and an application-focused exercise. Visit the Team-Based Learning Collaborative for information and resources, or watch how the University of Bradford’s School of Pharmacy have implemented TBL at the core of their new curriculum.